On April 1, the drilling footage of the New Year’s production capacity of the No. 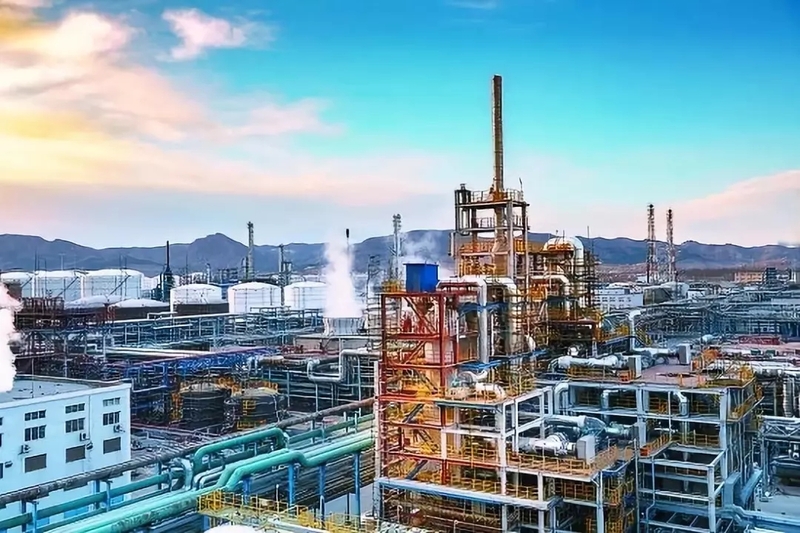 6 Gas Production Plant, Changqing Oilfield Company exceeded 100,000 meters, and the time to reach this length was 28 days earlier than the year of 2018. In order to ensure the quality and efficiency of production and construction, as well as high-quality and rapid development, the No. 6 Gas Production Plant has continuously deepened geological research and promoted technological innovation. On March 6, the first analysis while drilling and deployment disclosure meeting this year preliminarily defined the overall plan for the annual production and construction deployment, and carried out the geological analysis while drilling according to the implementation effect, and timely optimized and adjusted the deployment. Up to now, a total of 27 additional coordinates have been deployed, 11 production and construction favorable zones have been implemented, and 339 effective coordinates have been prepared. At the same time, relying on the special projects and key technologies of Changqing Oilfield Company, the “twice-drilling” technology and the “small borehole” test were actively promoted. 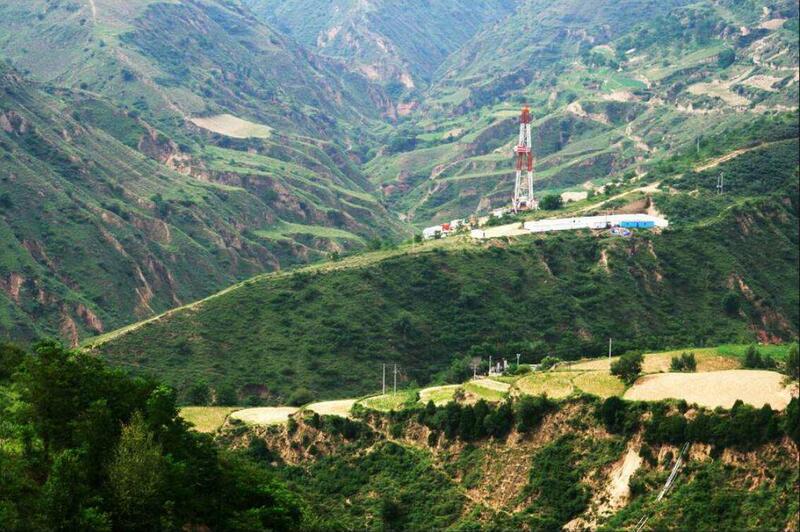 On March 8, the gas well with twice-drilling technology in the Gaoqiao area was successfully drilled. The second section to the finished drilling only took 11.21 days, which was 30% higher than the drilling speed of a conventional well with the same depth. CNOOC’s oil and gas reserves have hit a new record high, and CNOOC people are amazing! 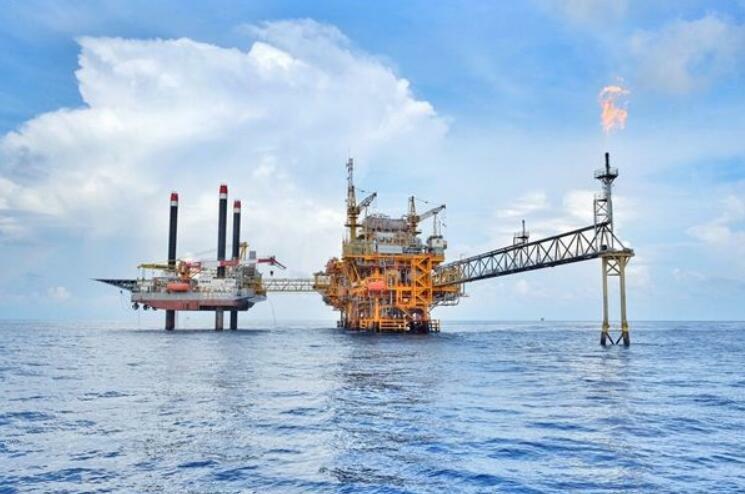 On March 21, the reporter learned from China National Offshore Oil Corporation (CNOOC) that the Company released its 2018 annual performance report. CNOOC steadily increased oil and gas reserve and production. The annual net oil and gas production reached 475 million barrels of oil equivalent, and continued to maintain cost competitive advantages. The main cost of barrel oil continued to decline year on year, creating a record of five consecutive years of cost reduction. By the end of 2018, the company’s net proven reserves reached 4.96 billion barrels of oil equivalent, hitting a new record high, and the resource base for sustainable development in the future will be more solid. In the next step, CNOOC has formulated a strategy for deepwater development in the South China Sea. It plans to build a deepwater oilfield cluster in the eastern part of the South China Sea in the next few years, and build the first 100 billion cubic meters deepwater gas field discovered by China in the western South China Sea, and continue to increase investment in exploration and development, deepen the potential of oil and gas resources in the South China Sea, and enhance the comprehensive support capability of oil and gas. The International Energy Agency (IEA) estimates that fuel oil supply is expected to face an acute shortage before 2020 when sulfur limit for marine fuel is set due to upgrade in refinery and a decline in medium and heavy crude oil production. According to the new regulations of the International Maritime Organization (IMO), by January 2020, the highest proportion of marine fuel sulfur will be reduced from the current 3.5% to 0.5%. The IEA says, since November last year, due to the OPEC and non-OPEC (such as Russia) production reductions, the global production of medium and heavy crude oil has dropped by 1.4 million barrels per day, reducing the residual fuel oil market by 500,000 barrels per day. In the fourth quarter of last year, global demand for residual fuel oil was 6.74 million barrels per day, declining by 2.2% year-on-year. The IEA states that the reduction in global crude oil supply is narrowing the profit margin of complex refineries comparing with simpler ones, which in turn leads to the disappearance of advantages of complex refineries. The increasing strengthening of fuel oil cracking in the past five months has made upgrades less feasible. 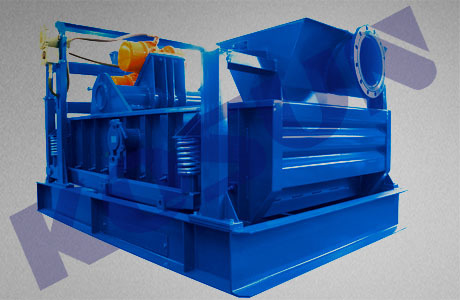 As the supporting equipment for tank-type solids control system of drilling fluid, KOSUN MA Series Mud Agitator is mainly used to mix and stir the drilling fluid by impeller to maintain suspension of solid particles in drilling fluid, prevent solids from settling in the tank-type circulating system and keep the circulating drilling fluid stable in performance and uniformly mixed. 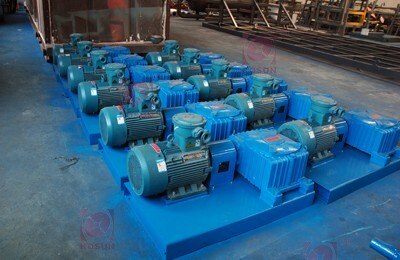 KOSUN MA Series Mud Agitator mainly consists of explosion-proof motor, reducer, base and impeller assembly, the connections between the motor and reducer, as well as between the reducer and impeller shaft, are all by rigid couplings, and four blades are welded into an impeller. 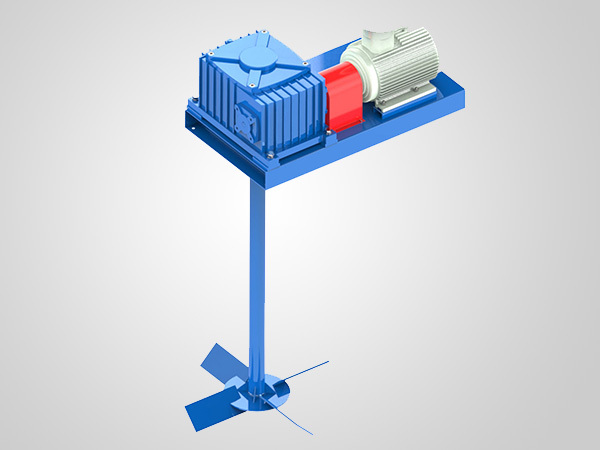 MA Series Mud Agitator, developed and manufactured by KOSUN, has such advantages as simple and compact structure, high mixing efficiency, etc. This series of agitators cover complete specifications, the impellers fall into detachable and undetachable types, and both single-layer and double-layer impellers are available for your choice. The impellers can be designed according to the actual requirements of customers. 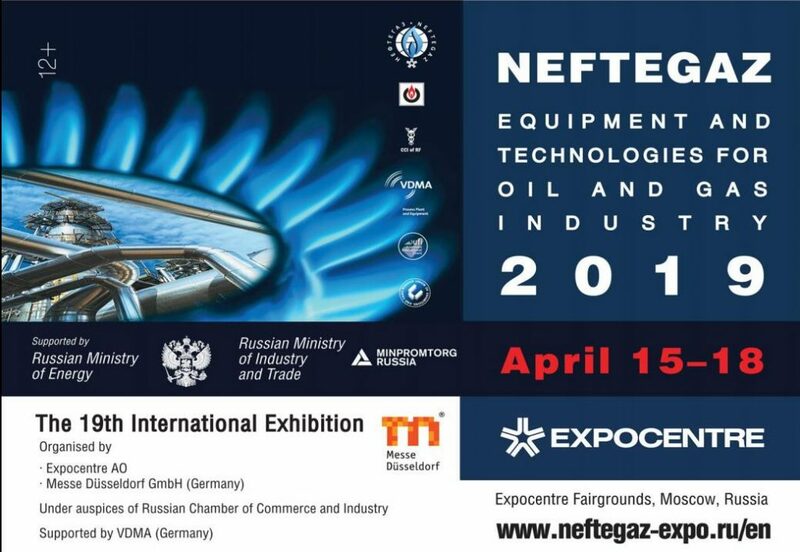 KOSUN will participate in the NEFTEGAZ at the EXPOCENTER in Moscow, Russia on April 15-18, 2019. You are warmly invited to visit the D28-1 booth at Hall 21! We are waiting for you! The NEFTEGAZ is a professional petroleum exhibition in Eastern Europe, gathering 1,800 domestic and foreign exhibitors from 41 countries around the world. It serves as a stage for the global suppliers of the industry to showcase their new oil and gas industry technologies. The number of professional visitors to the exhibition reaches 38,600 from Russia, Germany, Britain, France, the United States, Italy, Australia, Kazakhstan, Kuwait, Ukraine, Saudi Arabia and other dozens of countries. As a professional supplier of solid-liquid separation and sludge treatment equipment, KOSUN has attached importance to and participated in various domestic and international petroleum equipment exhibitions. 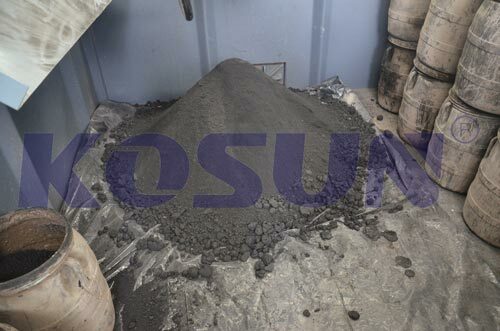 In the 2019 NEFTEGAZ, KOSUN will focus on the solids control system and drilling waste treatment (mud zero discharge). At the exhibition, our technical engineers and sales managers will provide professional consulting services for you. Welcome you to our booth for exchange and cooperation! (1) crude oil extraction process. Crude oil production process will produce a amount of oily sludge. The sludge produced mainly from the oil recovery wastewater treatment, the sedimentation caused by the added water purifying agent and the crude oil produced by drilling. (2) Oil gathering process. Oil gathering process will produce a amount of oily sludge. Transfer stations and joint station tank sludge, sedimentation tank sediment, grease trap sediments are all oily sludge. Oil sands produced from natural gas purification plants and sludge are also oily sludge. (3) Sewage treatment plant. Oil refinery wastewater treatment plant will also produce oily sludge, mainly from the biochemical pool of excess sludge, grease trap sediment, flotation tank scum, crude oil tank sediment. Oily sludge must be treated as it is detrimental to the environment. At present, there are several commonly used methods for the treatment of oily sludge in our country: incineration, thermal desorption, landfill, etc. In addition, there are biological treatment, coking and chemical heat washing. In response to the requirement of resource-based, harmless and reduction of oily sludge treatment in our country, there are many new oily sludge treatment technologies emerging such as ultrasonic treatment of oily sludge technology, cement sludge co-treatment of oily sludge technology and Solvent extraction processing technology. With the continuous improvement of environmental protection requirements, the major oil fields are faced with the problem of oil drilling waste management. 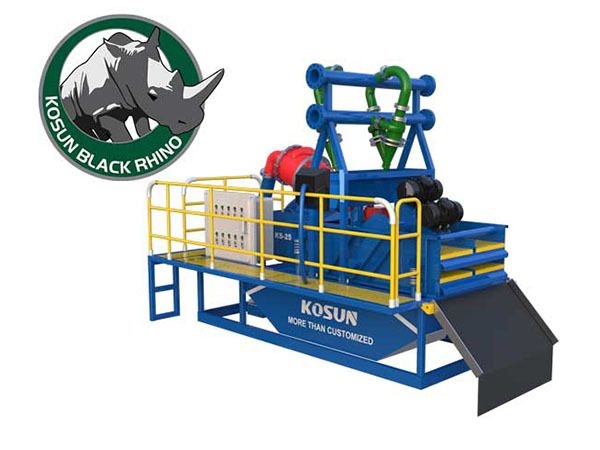 KOSUN, Oil Drilling Waste Management Company, are searching drilling waste management and disposal methods for 25 years, manufacturing quality drilling cuttings waste management system and serving the clients around the world. 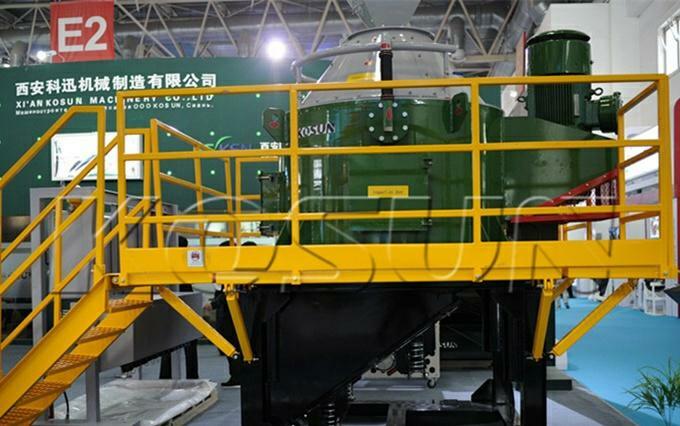 KOSUN vertical cuttings dryer for oil-based mud, by centrifugal separation principle, can effectively recover the cuttings in liquid phase composition, the solid phase becomes very dry, the drilling mud in the recovery, reduce the cost of drilling operation, but also reduces the the pollution of the environment, in accordance with international emission standards and environmental protection requirements. It can be used for drilling cuttings in land and ocean drilling. KOSUN DC Series Decanter Centrifuge is used to separate suspended solids ≥2μm in diameter and treat the drilling mud and fluids. It is especially effective when used in oilfield service industry, industrial service industry and especially in environmentally sensitive areas. 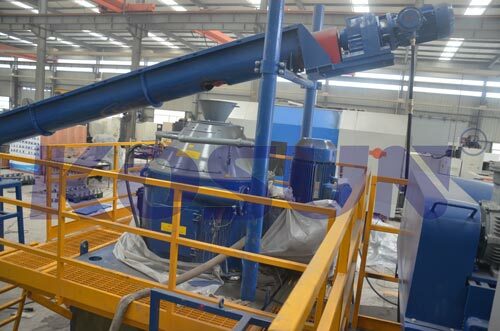 This type of centrifuge is high in recovery rate, effective in solids control and remarkable in the reduction of cost spent on drilling mud resupplying and management. It is a very sophisticated dynamic balancing machine, able to operate stably with the whirling speed ranging from 0 to 3900 and generate centrifugal force of 3000G. 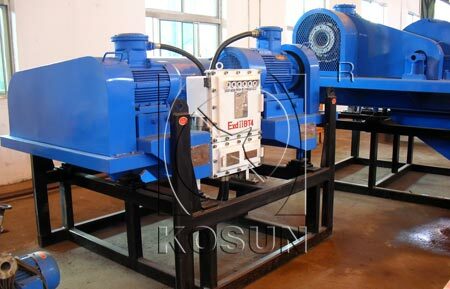 KOSUN Decanter Centrifuge can meet with different requirements of mud treatment under various drilling conditions, that can do sedimentation and separation for particles more than 2 μm. After treatment, the mud can achieve ideal viscosity and proportion, resulting in better recycling, high efficiency, saving and environment protection. With the promulgation of the new Environmental Law, the environmental requirements are getting higher and higher for oil fields, and free discharge of oil sludge will not be allowed any more. Oil Sludge Management is becoming a focal issue. Oil sludge is oil mixed with soil. They will be mixed together and become very difficult to deal with. Oil sludge is mainly from two aspects: Firstly, crude oil from the stratum to the ground and accumulated in all kinds of containers, large tanks and recycling pools and other ground facilities; secondly, oil sludge produced by oil well operations. Oily sludge is mainly derived from oil field mining and sewage treatment plants. In general, the sludge oil content is from 10% to 50%, and moisture content is from 40% to 90%. The ultimate purpose of oil sludge management is to reduce the harmful resources. The common oil sludge treatment methods are solvent extraction, incineration, biological, coking, oily sludge profile control, and comprehensive utilization of oil sludge. The results show that the current methods for oil sludge management have their own characteristics and scopes of application. As the oil sludge composition is so complex, there is no treatment method that can treat all types of oily sludge. According to statistics, the pollutant treatment market size is about CNY100~150 billion each year, and according to a rough calculation, the investment in oil sludge management plant needs more than CNY150 billion. Since 2007, Daqing Oilfield have built nine oil sludge management stations, and the annual treatment capacity can reach 3.2 million tons, all the oil sludge had been treated harmlessly. Changqing Oilfield built a Longdong oil field sludge treatment station in 2013 and used the physically and chemically combined methods, the oil content of the treated oil sludge is less than 2%, and moisture content is less than 60%, while the crude oil can be recovered. Xinjiang Fengcheng Oilfield Work Zone uses microbial agents to deal with heavy oil sludge and sludge oil content is reduced from 15% down to below 2% after treatment, which is very good. The current test has been reviewed by the company. –Decanter Centrifuge for fine solids separation or water and oil separation. -Oil Water separators for two phase liquid separation. -Thermal desorption unit for minimize the oil on the solids down to 0.3%. The oil sludge is the waste of solid with oil from oil drilling, transportation, refinery and oil waste water treatment processing. It contains big quantity benzene series, phenols, anthracene, pyrene and other harmful rotten material. It will be a resource waste and pollution for environment. Different areas and different clients has different oily sludge and final requirements for the oily sludge separation & treatment, following questions are needed to be clear for us to provide the best proposal for your oily sludge treatment solutions. -What is the origin and geographic location of the waste sludge (drilling, refinery, other)? -What is the makeup of the oil sludge (percentage of oil, water and solids)? -What volume of oil sludge is to be treated? -How long you need to complete the treatment of the oil sludge? -What is the challenge or problem of the current situation? -What is the target to achieve for the final oil, water and solids? -What process / equipment is being used on location at present for the oil sludge treatment? How is the performance now? -What’s your budget for the oil sludge treatment plant? In the experiment of mud treatment, it is found that the construction rubbish such as concrete, brick, slag and so on has the value of reuse.They can be used as backfill earthwork, and part of topsoil can also be used for garden planting. How to solve the construction mud treatment problems? 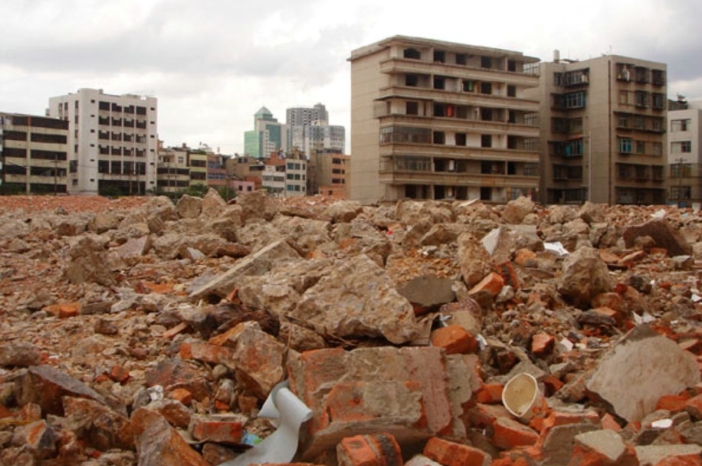 With the acceleration of the urbanization process, a large number of projects are under construction every year in the urban area, and the construction mud generated by the construction is also increasing substantially. Due to many origins, many management links and many main responsibilities, construction mud often can not be properly disposed, seriously affecting the river water quality and water environment. There are three characteristics of construction mud or infrastructure project mud: ① large amount of mud production: Once the construction machinery started, it can produce a lot of mud in a short period of time; ② storage difficulties: the scene does not have a large volume mud pool, direct emissions can pollute the environment, cars transport costs are high, on-site processing is the best solution. As technology continues to evolve, there are traditional sedimentation tanks for mud treatment or mechanical treatment. Sedimentation tank has a larger investment. 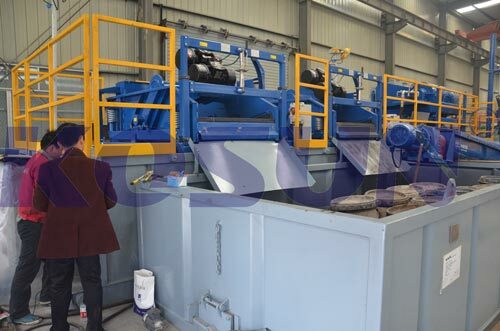 The use of mechanical methods need to invest a certain amount of funds to purchase equipment, common mud treatment equipment, including mud dewatering shale shaker, desander, centrifuge, and the treatment effect is relatively good.